National Bank of Egypt (NBE) and Banque Misr have created an advertising campaign to sell off their foreign assets in light of the country’s grinding economic recession. Despite this, however, a number of foreign and Arab investors have begun labelling Egypt’s market as attractive and promising, expecting the country’s economy to soon revive, with the value of assets and investments expected to increase. The most prominent of these banks includes Banque Misr, which through its investment wing, Misr Capital Investments, seeks to sell 3 million metres of land to Misr America for Real Estate and Development. Representatives from the Misr Real Estate Assets Company have also been reported to have been negotiating with a number of foreign investors to sell land owned by Banque Misr and NBE in the Magawish region of Hurghada. Mohamed Ali, an investment official working with one of Egypt’s public banks, said that such an advertising campaign will be more feasible for banks operating in the country’s domestic market, as they have suffered particularly high losses since the revolution and failed to adopt any comprehensive strategies for expansion. He added that attempts to convince foreign and Arab investors to re-enter Egypt’s market have centered around the notion that the country’s current recession is temporary, and that now is the time to take advantage of low purchasing prices in Egypt’s various sectors. He went on to say that any negotiations with foreign and Arab investors would revolve around the potential to achieve high profit margins in the long term. An official with NBE stated that foreign and Arab investors on the whole were confident in the potential for Egypt’s economy to recover and for companies to achieve high profits, saying that the country’s current stage was merely a transitional period that would soon subside. He went on to say that the value of local assets had decreased markedly in recent years due to shortages in foreign currency inflows and the rise in the price of local goods. Many foreign investors, he said, would seek to take advantage of the lucrative opportunities in Egypt’s current economy if positive indicators could be found pointing to the potential for its eventual improvement in the medium to long term. Securing the country’s pending IMF loan, he said, could serve as the positive indicator needed to point to the potential for such a recovery. 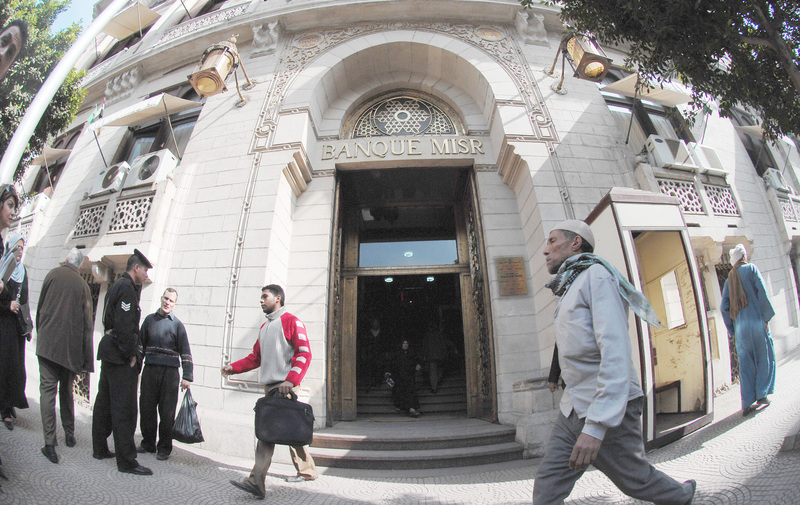 Mahmoud Al-Saqa, president of the Credit and Investment branch of the Arab African International Bank (AAIB), said that Egypt’s banks currently sought to sell off its unsuccessful assets and sell them to either Arab or foreign investors. Convincing banks to sell off those assets which have proved successful, however, would be difficult considering the poor state of Egypt’s economy, he said. He added that most institutions were seeking to get rid of those investments which have brought them high levels of distressed debt. Hossam Ragah, president of the Credit Risk Division for a private bank in Egypt, said the many banks were seeking to capitalise on the interest of a number of Gulf states in the country’s economy to sell their assets which have been difficult to get rid of on the local market. The value of Egyptian banking assets has decreased markedly since the outbreak of the 25 January Revolution, a fact which a number of Arab investors have seized upon, leading them to purchase a number of the country’s banks. Examples of this include National Société Générale Bank (NSGB) and BNP Paribas, which were purchased by Qatari and Emirati investors. In Febrauary Qatar National Bank (QNB) submitted a mandatory tender offer (MTO) for 100% of the NSGB’s shares. Ragah stated that Gulf companies are expected to continue their involvement in Egypt’s economy, particularly in its banking sector, considering the amount of incentives put forth by the country’s government after the revolution to encourage investment in the sector. He added that those companies that own land and assets in the Suez Canal zone can be expected to profit most from Gulf involvement in Egypt’s economy.